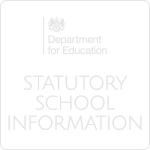 Student destination information is provided within the DfE Performance Tables. Please follow the link to be taken to the relevant information. Please see linked document for further information regarding first destination of 2017 year 11 leavers. The link will take you to the old school information. Kirk Hallam Community Academy was reopened under NOVA Education Trust on 1st September 2018 under the new URN 146374. Year 7 and Year 8 students are taught a balanced curriculum of English, Mathematics, Science, Computing, MFL (French or German), Music, Physical Education, Expressive Arts (Art, Drama, Dance, Music), Design Technology, Geography, History, RE and Learning for Life. Students are placed in sets for English, Maths, Science, Humanities, MFL and Computing according to KS2 SATS results and this is reviewed regularly with standard assessments within core departments. In Year 8, more subjects introduce sets based on standard assessments and prior learning from year 7. Some students will start to study a second language. 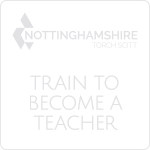 Support for students with learning difficulties and disabilities is provided by teaching assistants within mainstream lessons or as a targeted group based in the Learning Support Department. 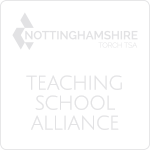 On some occasions, there is also a small amount of short term withdrawal targeted towards those individual students or small groups who most need it, delivered by a teaching assistant based in Learning Support. Alongside formal lessons at Kirk Hallam Community Academy students are offered a wide range of other opportunities. Alongside having a specific tutor to work with them they also have timetabled and supervised independent study sessions to support students through the 16-19 studies. Tutors and others also provide one-to-one support with all applications/CVs/personal statements etc. and we spend a lot of time making sure that suitable references are in place for all of our students. PSCHE sessions include outside visits from Universities and Apprenticeship providers who work with our students on key skills such as CV writing, UCAS applications and job or apprenticeship applications among other things. We also encourage students to visit as many University providers as possible and support them with applications to attend summer schools. Students are also expected to play a wider role at Kirk Hallam Community Academy and take up a range of opportunities such as working and supporting younger pupils in their studies, being a Student Ambassador or Anti-Bullying Ambassador, organising sporting teams and charity fundraising events . Residential fieldtrips, visits to Law Courts in London and experiences like a two-week volunteer experience in Sri Lanka are also a feature of the sixth form. It is also expected that all year 12 students will complete a work experience to further support their next steps post school life. Careers advice starts with the students identifying their Plan A and Plan B and they will all receive a guidance meeting with either their tutor, HOY, Head of Sixth Form or the Academy Careers Advisor, depending on need. Students can also self-refer to the Careers Advisor if they require specialist advice. Our equality objectives are based on our analysis of data and other information. Our equality objectives focus on those areas where we have agreed to take action to improve equality and tackle disadvantages. We will regularly review the progress we are making to meet our equality objectives. • To improve the progress and attainment of SEND pupils. • To promote mental health and wellbeing in children with protected characteristics. • To narrow the gap in attendance for pupils with protected characteristics as defined by the Equality Act, by fostering good relationships with parents and carers and seeking to understand the barriers to good attendance. • To increase the extent to which all pupils, including in particular those with protected characteristics as defined by the Equality Act, feel valued and confident, and in consequence more likely to achieve their potential. • To narrow the gap between vulnerable groups of pupils and other pupils in access to homework support provision, and in this way to reduce or remove inequalities in attainment throughout the school, particularly inequalities relating to the protected characteristics listed in the Equality Act. • To ensure that the staff are aware of current legislation surrounding Equality, Diversity and Disability and their responsibilities.